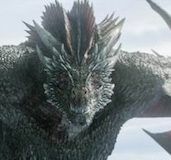 ‘Game of Thrones’ Theory: Do Dragons House the Souls of Dead Targaryens? 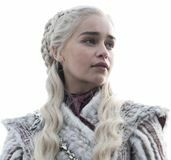 ‘Game of Thrones’: Is Daenerys Targaryen a Good Ruler? 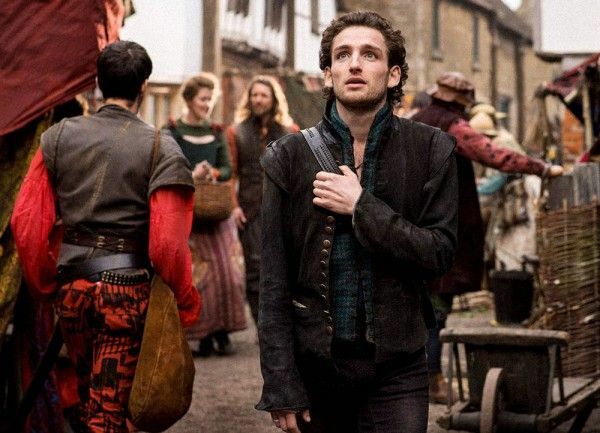 Set in Elizabethan England, the TNT drama series Will tells the wild tale of a promising young playwright named William Shakespeare (Laurie Davidson), with a bold, contemporary style that gives it a very punk-rock feel. 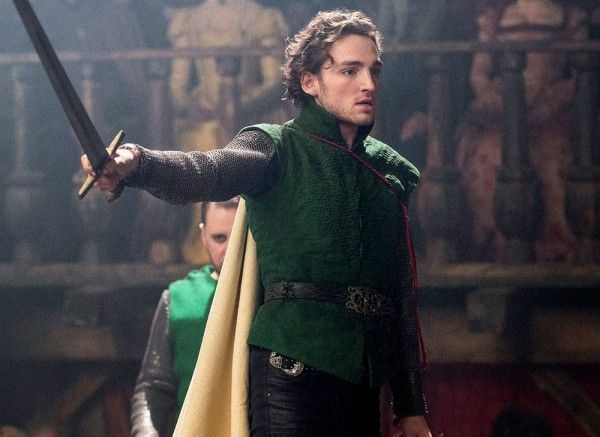 The theater scene in 16th century London is part of a seductive, violent world surrounded by riotous audiences and religious fanatics, all of which threaten to destroy even the most talented wordsmith, especially when you have enough secrets that could end you before ever achieving your greatest success. 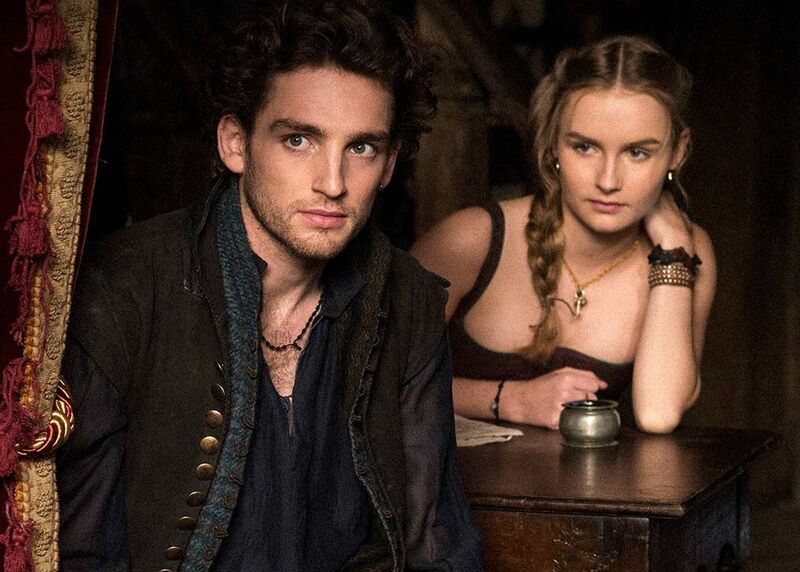 From showrunner Craig Pearce (Romeo + Juliet), the series also stars Olivia DeJonge, Colm Meaney, Ewen Bremner, Jamie Campbell Bower, Mattias Inwood, William Houston, Lukas Rolfe, Max Bennett and Jasmin Savoy Brown. During this 1-on-1 phone interview with Collider, actor Laurie Davidson talked about taking on the title role of a TV series before even finishing drama school, the audition process, getting used to working on a set, breaking people’s preconceptions of who William Shakespeare was, the complex dynamic between William Shakespeare and Christopher Marlowe (Jamie Campbell Bower), the temptation of Alice (Olivia DeJonge), feeling like a rock star for the stage performance scenes, and his desire to continue to dig deeper into this character. Collider: When the possibility of playing William Shakespeare, at this point in his life, came your way, what was your reaction? LAURIE DAVIDSON: I never really thought about William Shakespeare, as a young man. We only really have that one picture of Shakespeare that is the go-to image. I just always imagined him in that middle-aged stage, so I never really thought about him as a young guy. But then, if you think about his work and the plays, you can’t get away from the fact that this guy clearly was once a very young soul. I was definitely really excited to get behind what’s certainly a different side of Shakespeare that we haven’t explored before. What was your audition process like for this show? Was it long and grueling, or did it happen quickly? DAVIDSON: It was long, but it wasn’t grueling, by any means. It was really fun, actually. I started out going out for an audition for a Yorgos Lanthimos film, called The Favourite, which I think they’re still making, and the same casting director said, “Hey, we’d love to get you in for a show called Will, about William Shakespeare.” And I was like, “Amazing! That sounds great!” So, they told me a little bit about it and sent me the lines, and it sounded great and right up my street. They sent me the script, and I read the script and loved it. It was totally different from what I was expecting. So, I went in and read, and they seemed excited. And then, I got to meet Shekhar [Kapur and Craig [Pearce], and I’ve seen lots of both of their work and I was totally in awe, but kept my cool. They then called me back again, and I started to audition with some potential Alice’s. I was three auditions in and still in the mix, and then I went on holiday. They called me up and said, “We need you back in London for a screen test.” I landed, did the screen test, and went back to Budapest for my holiday. And then, Christmas came and went and I was going to go back to drama school. I was in London, at the time, doing my final year of drama school, still waiting to hear, and I’d been cast as Tevye in Fiddler on the Roof. And then, I found out the day before I was about to start rehearsals. I went in and found out that I’d been given the part, and obviously, that was the most incredible news that I’d ever received. I’d been told lovely, encouraging things by Shekhar and Craig, but I’m a cynic and I always think it will go the other way because it always does. But when they said, “They want to work with you,” I couldn’t believe it. I had to drop out of Fiddler on the Roof, but I wanted to finish and graduate my year at LAMDA, so after I did the pilot, I went back and finished my year. I got my degree, so I kept my parents happy. When you can’t be any fresher out of drama school than that, and you’re not only taking on the title role of a TV series, but that title role also happens to be that of William Shakespeare, what goes through your head, the first day on set, shooting the first episode? Were you completely overwhelmed, or were you too naive about it all to get nervous? DAVIDSON: I was probably nervous for the build up, just because of the whole thing. People who haven’t worked on a film set before have only seen the finished product. I’d never been on a film set before. It was a totally alien world. Even having a trailer, or getting picked up in a car, every day, or staying in a fancy hotel was all so alien. I’m not used to being waited on, hand and foot. That was weird and something I will never get used to, and don’t want to, frankly. It’s just really weird. But when I got on set and started working, it sounds silly to say that the actor in you kicks in, but it didn’t feel too foreign. I felt like I was in really safe hands with Shekhar, and we just started playing. Fortunately, we had two weeks of rehearsals, so I was well prepped. I knew what I wanted to do with those first few scenes and I knew what he wanted out of them because we’d done a lot of work. They really prepared me well, especially for that first week. After that first few days, the ink had dried a bit and I was really well looked after. Because this is a different Shakespeare than we’ve gotten to see before, what’s been the coolest aspect of getting to play this version of him and what have been the biggest challenges in making him feel human? DAVIDSON: That, in itself, is the biggest challenge. It’s about breaking people’s preconceptions about what his work is and who he was. We just really wanted to break that mold and that idea. That’s why the costumes are so different and current, and the soundtrack transports you into a world that you wouldn’t immediately think of when you thought of Shakespeare. That was something really important to us. Shakespeare was unique in that he was writing for the masses. He didn’t try to alienate people. Far from it. He was doing the opposite. He was one of the pioneers who created work that really spoke to everyone. In the theater, you had the people in the pit who were the people of very little money that would pay a penny, and the people at the very top paid the most, while the people on stage paid the absolute top. It’s not like today where the art is being given to all types of people in society. I think Shakespeare’s work reflects that because he had to write for all different people. There’s a very interesting, complex and layered dynamic developing between Will Shakespeare and Christopher Marlowe. What can we expect from that relationship, over the course of the season, and what’s it been like to play the back-and-forth with them, since you never really know where that’s going to go next? DAVIDSON: That’s a great question, actually. For me, the way I approached it was, what’s it like when you meet your hero? William Shakespeare has read Kit Marlowe’s plays and he can’t believe it when he meets him. And for Christopher Marlowe to take an interest in his work is the best thing, ever. And then, there’s this weird energy. It’s not all fun and games. He can sense there’s something awry with Kit Marlowe. And for Marlowe, he finally sees something truly special in William Shakespeare. As the series progresses, you’ll see that Marlowe sees the thing in Shakespeare that he used to have, before he became jaded by this world, just like so many people are sometimes, in the world of show business. You go into the business so green, and sometimes the industry can take its toll on you. Marlowe is that person who’s lived through it and he really sees a purity in Will that he actually envies. For Will, Marlowe has something that he wants, which is a freedom. He doesn’t have a tie to a family or a strict Catholic religion. Marlowe, in Will’s eyes, can come and go and do as he pleases. He can sleep with whoever he wants. He sleeps with men and women. He’s not fussy. Whereas William Shakespeare is very much in a battle of willpower, to be a good husband, a good father, a good Catholic, and one of the best writers in London. Will is quickly tempted by Alice, and even though he initially tries to fight that attraction, it seems inevitable. What is it about her that makes him decide to risk his family? DAVIDSON: William Shakespeare probably had a relationship with Anne, she became pregnant when Will was 18 and older, and suddenly he found himself in a situation where he needed to make an honest woman out of her. At 18, he made the call to get married. He didn’t get to explore his young days of reckless abandonment and being silly, which most of his contemporaries, at that age, would have done. Christopher Marlowe certainly did, and has carried on doing. There’s that part of him that he’s never really been able to explore. And when he finally gets the courage to leave Stratford for London, it’s a shackle that’s been broken, and whilst he had no intentions of cheating on Anne, when he gets to London, he falls in love with the city, the theater and the company. Alice represents so much of that world that he just gets swept up in it. 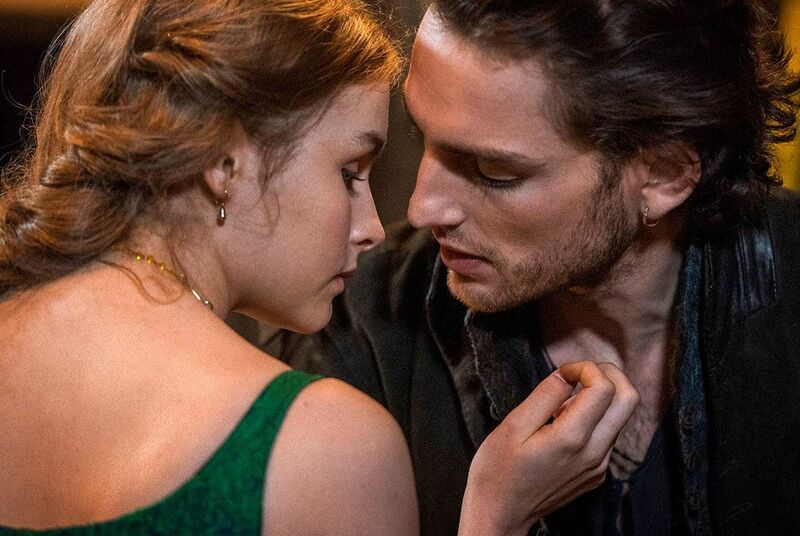 She’s totally different than Anne, and he has a much deeper connection. She is someone with a mind who understands the work of the theater. Will has never met not only another person like that, but he’s certainly never met a woman like that. There certainly wasn’t going to be anyone in Stratford like that. They just don’t have girls like that, and he’s just blown away by that. And yet, especially for Will because he’s Catholic and has three children, he’s being pulled in many different directions. The sense I got, playing him, is that he’s constantly being pulled towards lots of different things. He’s trying to spin six different plates at once, with his religion, his family, his wife, his passion for Alice and his work. How was the experience of shooting the stage performance scenes? Did you have any real rock star moments, shooting those? DAVIDSON: We did, yeah. Just getting to go out in front of the five hundred extras, shouting and screaming their heads off, we all allowed ourselves to feel like rock stars. It was totally intoxicating! It was a replica of the theater with a live punk audience, looking amazing, sounding amazing, and screaming and being unruly. The first A.D. had the hard job of taming them because they really were wild. In those moments, that certainly gave us the feeling of what it must be like to command that power on stage. We could really milk it, like the Mick Jaggers of this world would do when you’ve got the audience eating out of your hand. 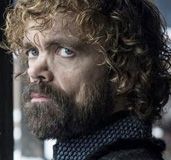 As you got to know this version of the character more and more, throughout the season, did you feel like there was so much more to explore with him? Are you dying to know where things could go, if there are future seasons? DAVIDSON: Definitely, yeah! As I did more and more of my own research, there are always things that you find where you go, “Oh, my god, that would be great! I hope Craig does that!” And I have spoken with him about a few ideas that he’s had. There’s so much scope for exciting stuff. I really don’t know where he’ll take things next, but Shakespeare wrote so many plays that one thing I’d be excited about doing is really getting behind why he wrote some of his most famous plays. What this series really tries to do is give a real explanation and idea behind what the writer’s inspiration is. Where did he draw upon for these ideas? Did he invent them, himself? Was it borrowed? Did he draw from influences? Craig has done an amazing job of trying to fill in the gaps of how this writer came to write the biggest body of work that we know and perform, five hundred years later. Will airs on Monday nights on TNT.